Planning a family trip to Indonesia? How about having to visit for business? Before you leave, you should know that Indonesia uses a tightly controlled infrastructure. This infrastructure allows the government to spy on all Internet usage. Not only do they block content, but they monitor what the citizens do online. Connecting to the Internet without sacrificing your privacy is a challenge, without one of the top 5 best VPNs listed in this article for Indonesia. Mask your IP address and protect yourself with one of the best VPNs we have introduced you to for Indonesia. This keeps your identity anonymous and helps you navigate around the blocks placed on your favorite sites. Continue reading to learn more about our top 5 recommended VPNs to use for Indonesia. NordVPN currently operates four servers in Indonesia, with other options in Singapore, Malaysia, and Australia. They have one of the most extensive networks of VPN connections available. Their custom apps offer support on a multitude of devices to allow access from your computer, phone, or tablet. NordVPN even has servers that are P2P-friendly. In fact, a dozen of these servers are close to Singapore, making the speeds excellent. As far as their security goes, NordVPN uses all the standard protocols. They have 256-bit encryption, double encryption servers, and a kill switch. NordVPN is based in Panama and maintains a no logging policy. If you run into any trouble, NordVPN has exceptional customer service to top it all off. 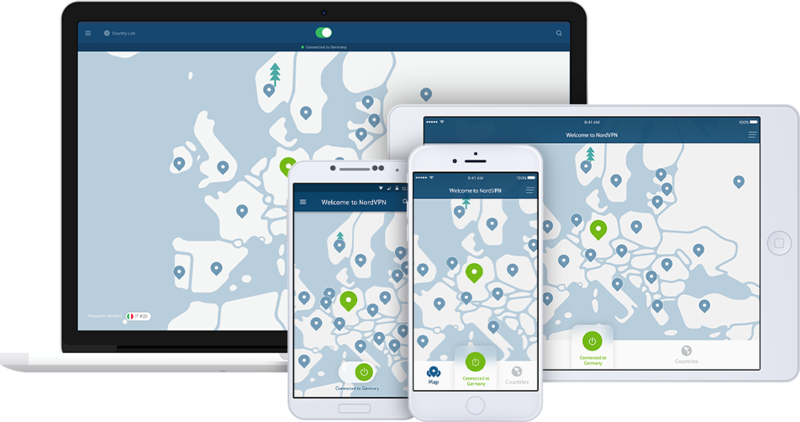 NordVPN offers a 30-day money-back guarantee if you need time to decide. ExpressVPN contains one server in Indonesia with additional servers in almost every other country. Finding the right connection for your needs, shouldn’t be an issue. ExpressVPN is based in the British Virgin Islands, and they don’t collect any browsing activity or log your traffic. ExpressVPN also employs 256-bit encryption and an automatic kill switch. ExpressVPN provides easy-to-use software for all devices including iOS and Android. They even have P2P support and live chat 24/7 for any issues you experience. We regularly test them at the highest speeds of any provider. If you plan to stream or download, you’ll be grateful for that extra speed. Take advantage of ExpressVPN’s 30-day money-back guarantee and see for yourselves. With headquarters in Switzerland, you have no reason not to trust VyprVPN’s no-logging policy. After all, Switzerland uses some of the loosest Internet rules in the world. Aside from that, VyprVPN also provides global coverage and is currently located in over 70 varying countries. Some of VyprVPN’s features include a NAT firewall, kill switch, and per-tunnel application routing. VyprVPN does offer a 3-day free trial, giving you plenty of time to test them out before committing. This provider is from Romania and offers excellent speeds for people in Indonesia. There’s a large selection of worldwide servers at your disposal, perfect for streaming anything around the globe. They use robust encryption protocols and guarantee zero logs. You’ll find that CyberGhost’s software is easy to use and available on numerous platforms. CyberGhost even provides some advanced features like a kill switch. Try it out with their 30-day money-back guarantee. This final choice for Indonesian Internet users has one of the largest worldwide presences. Few providers offer the type of flexibility in choosing a server from such an extensive network as PureVPN does. With PureVPN you are able to connect up to five users at a time. This keeps your whole family covered. PureVPN has a 31-day money-back guarantee. That should be enough time to make a decision. When you try to find one of the best VPNs for Indonesia, it’s tempting to try a free version. We recommend that you avoid this trap because free VPNs offer poor security and leave you at risk. Instead, opt for a paid version that guarantees you remain secure. High levels of security – Choose a company that utilizes 256-bit encryption to protect your information. Numerous servers around the world – To navigate around geo-restricted sites, you need a VPN service that has multiple options around the world. Then, you have connections available to you wherever you need them. Fast speeds – When using a VPN, it’s natural for the security to slow your connection slightly. A high-quality VPN service knows how to optimize the process, so you barely notice it’s running. Easy-to-use software – The software must be easy to use, offer plenty of features, and be available on numerous devices. When we tasked ourselves to find the best VPN for Indonesia, we used the checklist above. That’s how we concluded that the above 5 VPNs are the best VPNs for Indonesia. Because of government restrictions, browsing the web in Indonesia is somewhat restrictive. Anti-blasphemy and anti-defamation laws lead to inaccessible areas of the Internet. If you live in Indonesia or plan to travel there in the future, it’s essential that you use one of the 5 best VPNs listed above for access. Not only that, but VPNs protect your data and allow you access to sites across the world. All 5 of our recommended VPNs are a great choice while in Indonesia and offer you the protection you need. All that’s left to do is enjoy the Internet freely, the way it was meant to be.